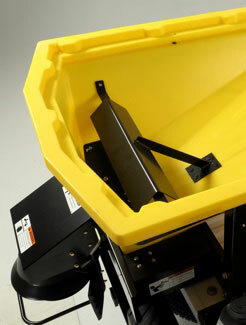 The FISHER® POLY-CASTER™ UTV 11 cu ft poly hopper spreader provides a compact ice control solution. 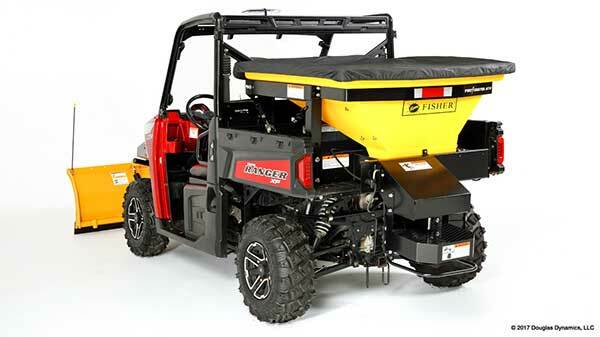 Perfect for utility vehicles, this lightweight hopper spreader packs a big punch and delivers many of the unique features of the larger models, for efficient ice control performance. 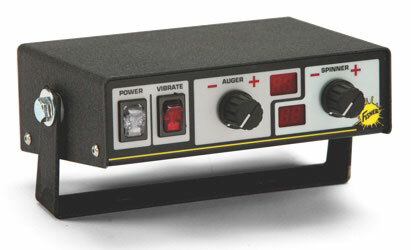 Dual variable-speed control allows you to individually control the two 12-volt electric motors to precisely match material delivery and spread patterns to conditions. 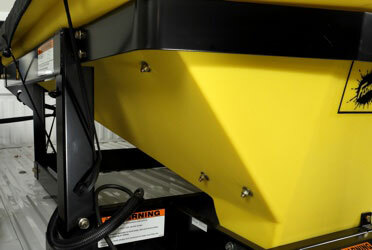 When an obstruction occurs, the transverse auger delivery system can reduce downtime by automatically backing itself in and out until the obstruction is cleared or a required adjustment has been made. 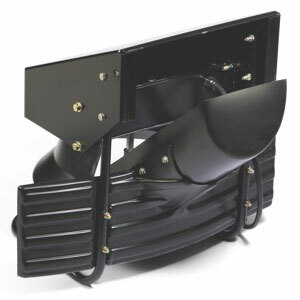 Helps break up large chunks of de-icing material during the loading process to prevent clogging and bridging. 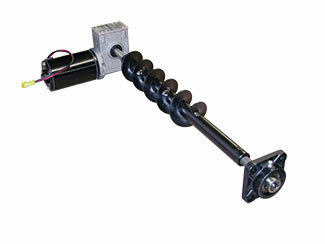 Heavy-duty steel with electrostatic powder-coated finish. 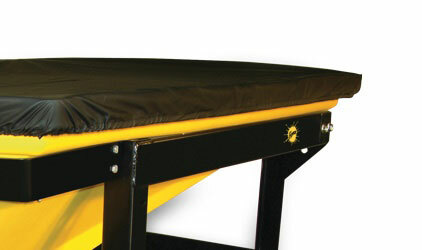 A fitted tarp cover helps ice control material stay dry to prevent clumping.